In her Client Service Associate role, Stacy collaborates with each advisor to support the needs of our clients. Her knowledge of firm policy, procedures and technology allows her to interface with clients and prospective clients, anticipate their needs, resolve their problems, and follow through to provide exceptional service. Stacy supports and drives the firm&apos;s initiatives and processes to ensure the client experience is second to none. Stacy holds the Series 65 license. 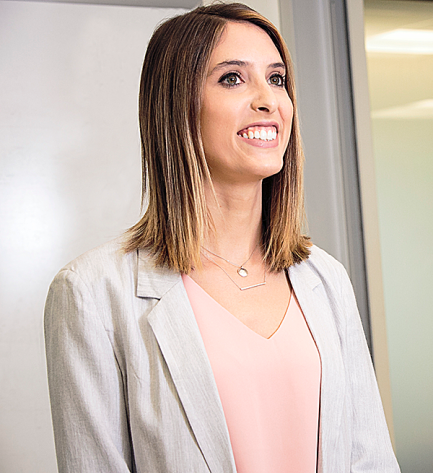 In her dual role of Marketing Coordinator, Stacy manages the day-to-day marketing activities of the firm and plays an instrumental role in the development, design, and implementation of the firm&apos;s long- and short-term marketing strategy. She coordinates the creation and publication of all marketing materials and ensures they are aligned with the firm&apos;s strategic marketing plans. Stacy grew up in Seattle and graduated from the University of Washington with a bachelor of science in biology. She enjoys being active outdoors; baking; volunteering her time to help others; and cheering on the Huskies, Mariners and Seahawks. "We&apos;re just enthusiastic about what we do."